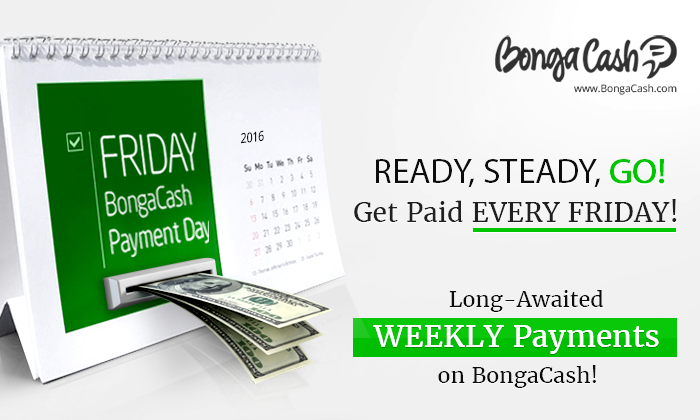 BongaCash Excited To Introduce Long-Awaited Weekly Payments! BongaCash is bursting with excitement to bring you the good news! Say buh-bye to biweekly payments! You’ve been waiting a long time, but nothing is impossible with BongaCash. Biweekly payments have become history. Now you will get paid EVERY WEEK! Подарки, розыгрыши и другие приятные Бонусы для наших партнёров! У меня ещё остались вопросы. Хочу пообщаться с менеджерами BongaCash. Да, я хочу стать партнёром BongaCash!